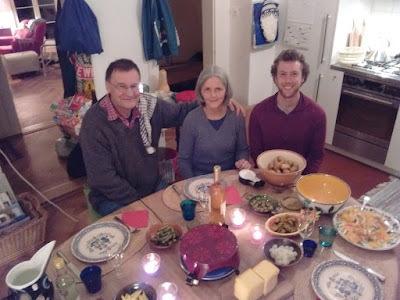 After returning from Austria we began last week by spending a luxurious four days with Jackson’s family friends, the Messerlis. Highlights included a real tour of the city with Elisabeth (as opposed to last time we were there, when we just looked windows full of expensive watches) meeting and hanging out with Antonia, an Italian exchange student that lived with the Messerlis two years ago, and a raclette dinner with Beat and Elisabeth. 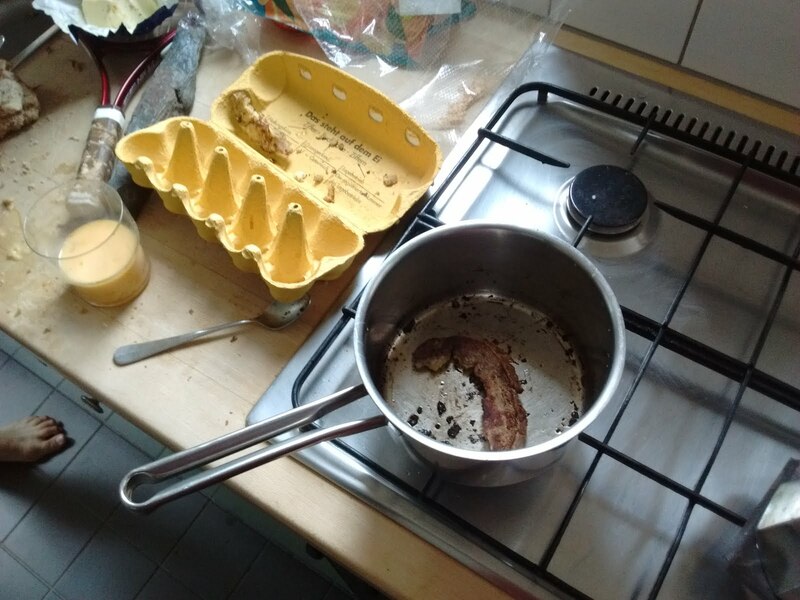 We tried to do some of our own cooking, too, but, with limited provisions, it didn’t turn out that well. 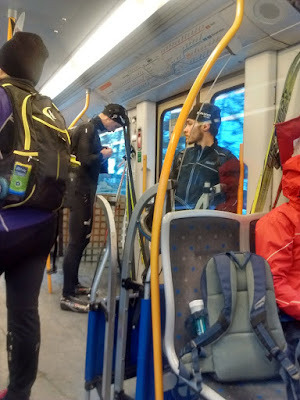 There was still some skiing in Switzerland! Switzerland, like a lot of Europe, is almost devoid of snow, but we found some great skiing at Davos and some icy conditions elsewhere. 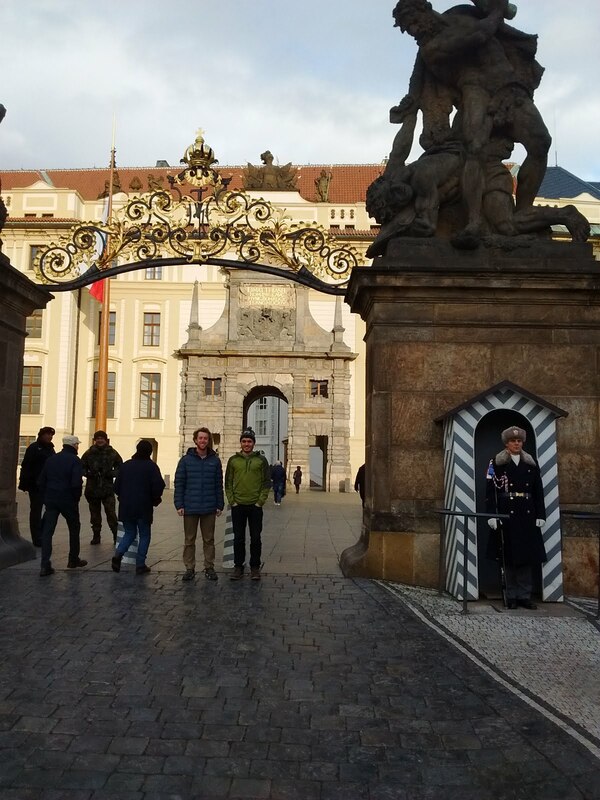 From Zurich, we drove to Prague, where we toured the Prague castle with the Stoceks. Before our flight to Norway Fabian's parents brought us the the Prague Castle! 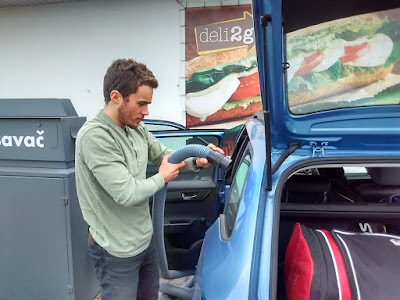 We then flew from Prague to Norway for a mini ‘vacation’ in the midst of our travels. We have had a long break from racing and it has been great to do a lot of exploring. 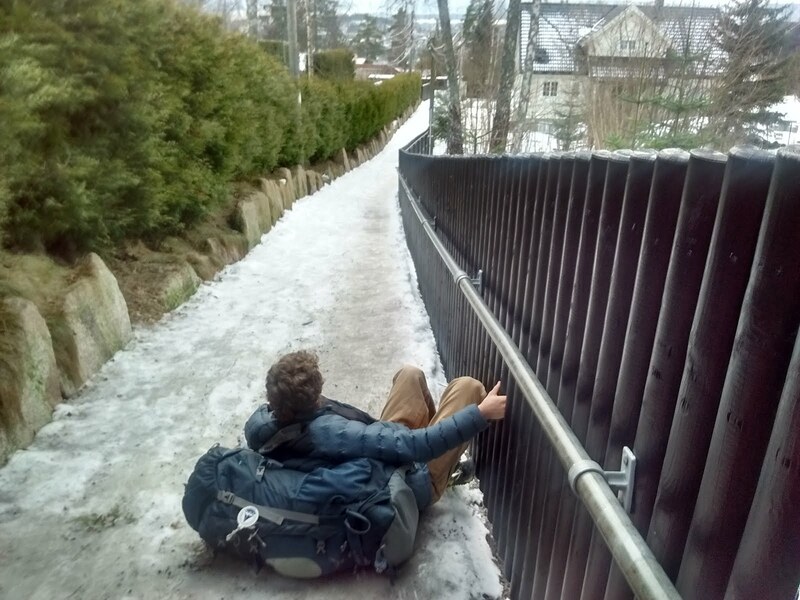 In normal Norway fashion it was snowing and below freezing when we landed Oslo! 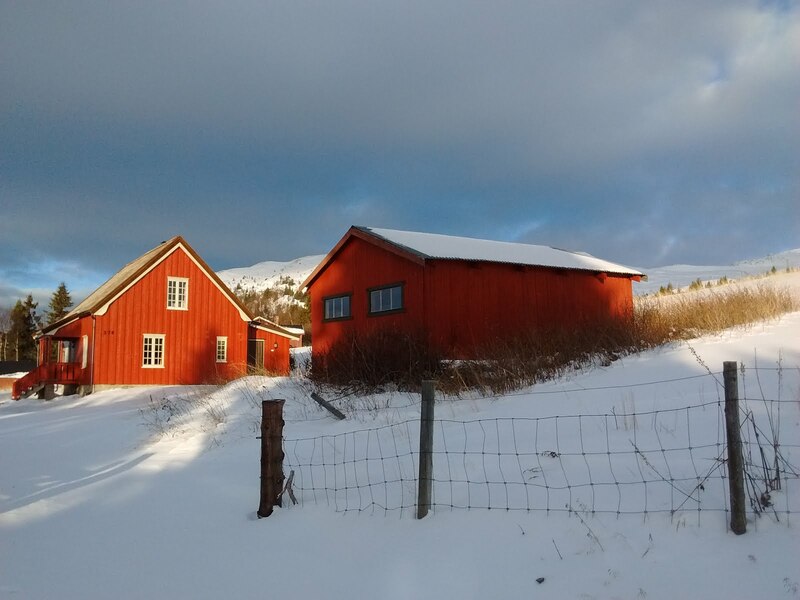 The next three and a half days were spent in Alvdal about three hours north of Oslo by train. Tyler’s family hosted a foreign exchange student from Norway three years ago and it was fantastic for Tyler (and Jackson) to finally get to see where Erling is from. 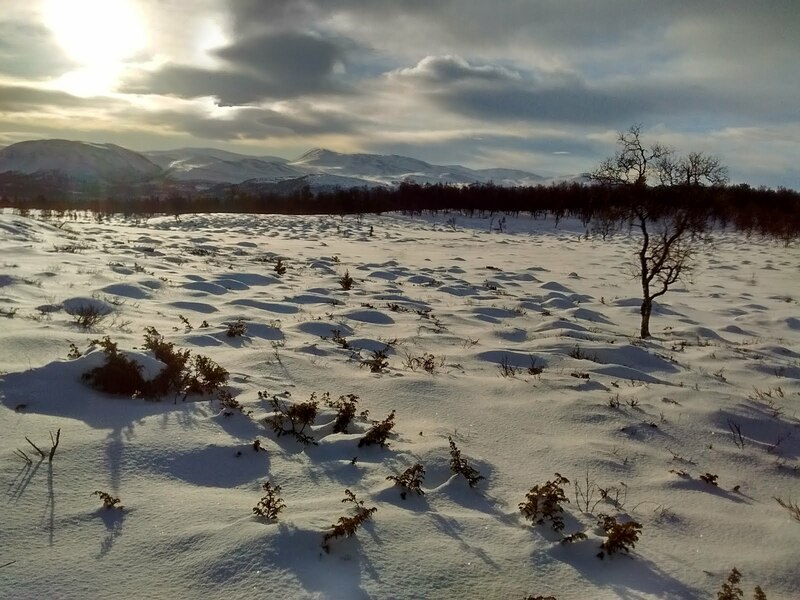 The Norwegian mountains did not disappoint and winter was in full force. 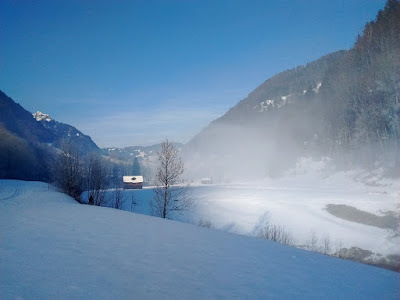 We skied on extra blue wax in -5 C weather for three days fueled solely on brunost, jam, bread and coffee. We couldn’t really have asked for more. The skiing in Norway more than lives up to its reputation even if Erling described the snow this winter as ‘not great’. 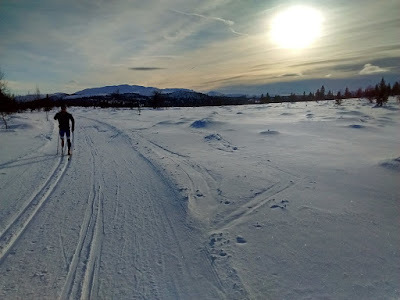 Within 20 minutes of Erling's house there was 100's of kilometers of skiing! We did spend a short amount of time not skiing and it was fun to get to know Erling’s parents. One afternoon Erling brought us up to his families mountain cabins and we were able to go skijoring with the family dog! From Alvdal we went back to Oslo, where people ride the metro with their ski boots on, roads are sheets of ice, and ski trails are never ending. Really. 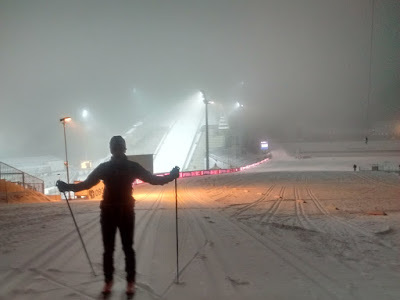 1,600 kilometers are accessible from a metro stop near where we were staying, and, despite warm, foggy, and rainy weather, we took advantage and put in a lot of skiing over the weekend. Last weekend, Oslo also hosted the Holmenkollen Skifestival, a weekend of cross country, ski jumping, and nordic combined world cup competitions that are highlighted by the Holmenkollen 50 and 30 kilometer cross country races. The city treats the weekend like a giant party. Hundreds of people camp trailside all along the 8.3 kilometer race course, grilling and drinking until it’s time for the race, when they don sweaters and knee high socks and chant Heia until their lungs give out. We saw all of the top skiers in the world and got some funny looks from American skiers who seemed surprised to hear us cheering for them during warmups. Despite the gloomy weather, over 10,000 fans lined the race course, creating the most exciting and electric skiing atmosphere we’ve been a part of. 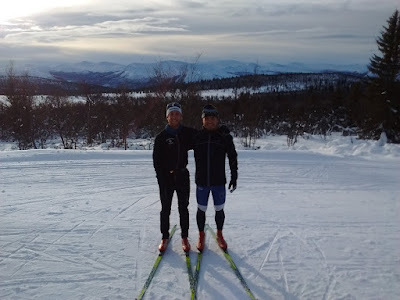 On Friday, at the end of a snowy ski on the Oslo trail system, we found our way onto, and subsequently skied, the race course used for the 50 and 30 km races. It is hard. The hills were steep and massive and the experience really put into perspective the strength and skill of the world cup athletes, who we normally just get to watch on video. Skiing the course also gave us the opportunity to ski into and around the Holmenkollen stadium, which has hosted some of the most famous races ever. It was oddly intimidating to enter such a historic ski venue but skiing over it’s bridges and past the bleachers ended up being one of our favorite skiing experiences so far. About to enter the Holmenkollen stadium. 50k winner Martin Johnsrud Sundby leading the front four. Therese won this 30km race by 3:46, crazy. Norwegian superstar Petter Northug battles Russian Alexander Legkov near the end of the race. Apparently a whole group of Swedes came just to watch American skier Jessie Diggins. This is awesome you guys. The metro shot is priceless. What incredible experiences you are having!! Keep blogging! 477 kilometers of racing. Eight cross-country ski marathons. More than eight countries. Three months. 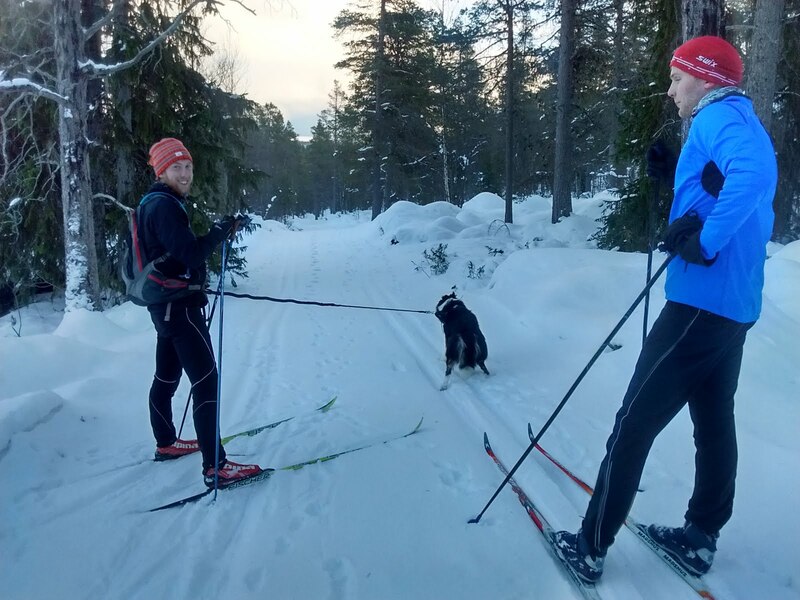 We hope to use this blog to chronicle and share our experiences traveling Europe and racing on the World Loppet Circuit. The marathons on this circuit comprise the largest ski races in the world. Our races range from 42 to 90 kilometers, as there is no set distance for a ski marathon, and host as many as 16,000 participants. Racers range from current and past world cup skiers to costumed adventurers who make sampling the famous blueberry soup of the Vasaloppet a priority. We’d like to think we fall somewhere in between. Our primary motivation for racing these marathons, of course, is to have a great time. You know, battle thousands of salty Norwegian veterans to the finish line again, and again, and again, and again and again..., sample the rivers of chocolate we’ve heard flow through the Swiss alps, fumble around with klister now that we have to wax our own skis for races, maybe even try the blueberry soup because 90 kilometers is a really long way to ski and the Vasaloppet might have conquered us by the time we hit the last aid station. 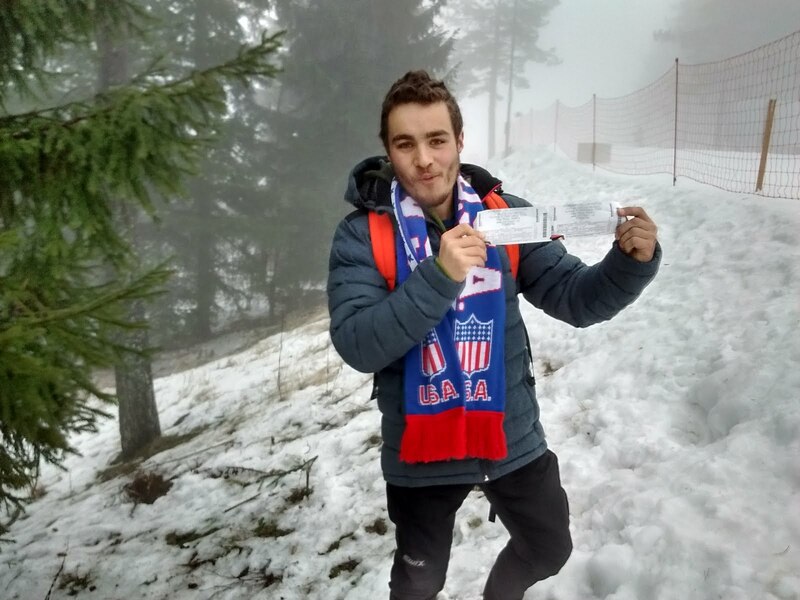 Underneath it all, we also hope racing in countries that hold skiing at their cultural core will help generate excitement about the sport back home.